Who are you being in relationship? What are you receiving (and not receiving)? What are you choosing (and not choosing)? What are you having (and not having)? 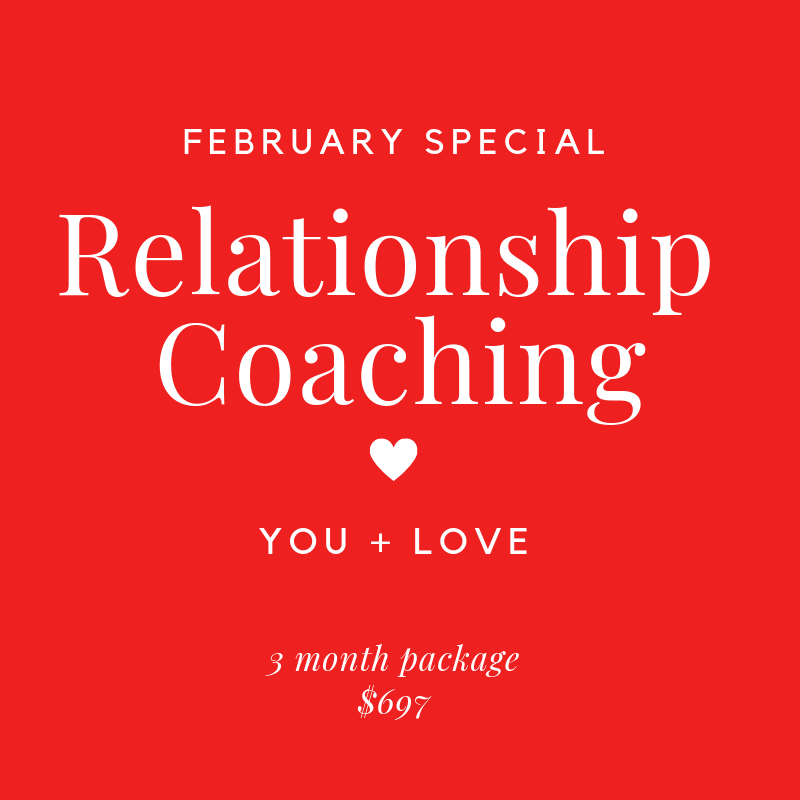 Let’s talk about YOU and LOVE! Got any patterns there you’d like to look at? Any secret agendas running the show? Any old wounds needing some light and clarity so they can heal? 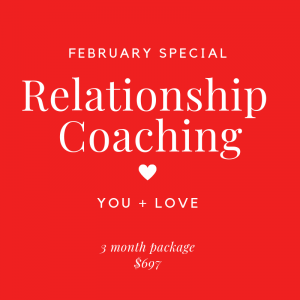 If you invested in a deep dive series of conversations about Love and relationships with me, you might create something new and different in this area of your life this year? Or message me to set up an payment plan.